It can be cast in Sterling Silver, Argentium Silver, white, yellow, or rose Gold, Platinum, or Palladium. It can be made from 5mm-12mm wide and in sizes 4-15. 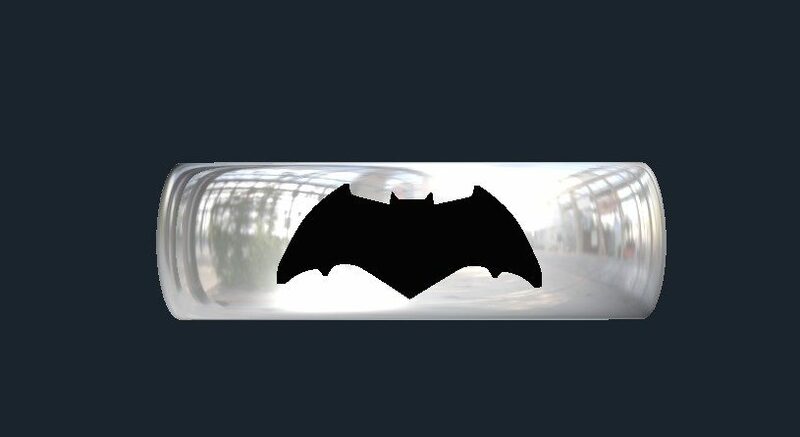 We can also take Titanium or Tungsten bands and laser engrave them with the bat symbol. The bats are made with enamel, which is far more permanent than the oxidation. It is semi-permanent only damaged by heat and solvents like acetone. This Justice League Batman Wedding Ring is a unique must have for any batman fan. The starting price is for a 6mm wide Titanium Band.